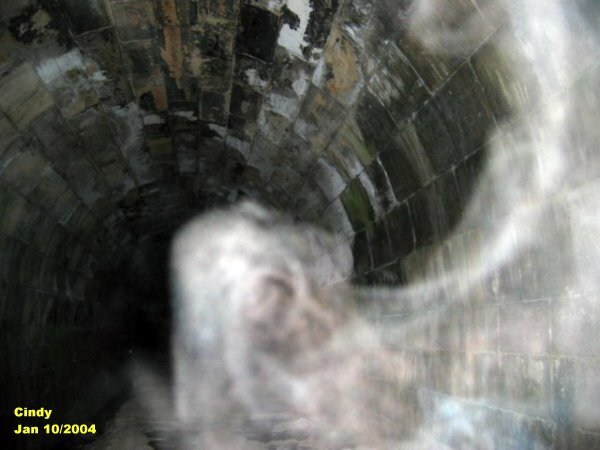 In this photo there are three entities that appear. From the right hand side a dog's head was forming, the center a little girl, the left a dog or deer in a laying postition. There is a message that these spirits want to get out. Just what the message is at this point is anyone's guess. This photo shows a woman looking down at a little animal. You can see her hair hanging down and the little animal is the one closest to the right, near the bottom of the picture. 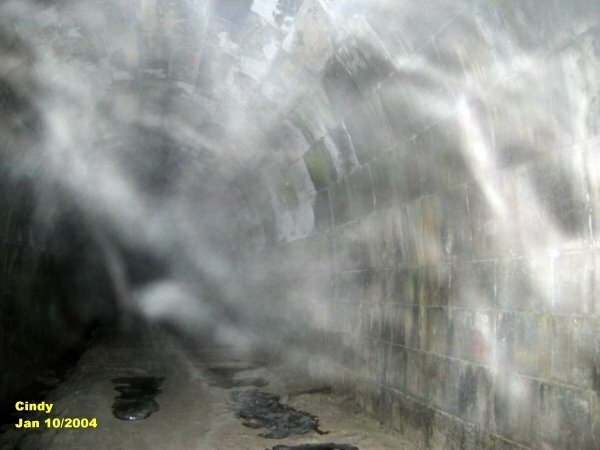 This photo shows spirit energy forming something like a spiders web on the right wall of the tunnel. In this photo one can see a bird of prey hanging upside down with its head turned. However again this is another animal that is not from this world. Looking at the bird you can make out the two wings that are tucked closely to its side. The head almost looks like that of an eagle, the beak is very large. This was a great night for a investigation at the Blue Ghost Tunnel, there was a lot going on inside. We have used the OUIJA Board to try to find answers to the puzzle of the many spirits that linger at the tunnel. So far to date Cathy and Cindy have contacted a spirit that named herself Emily. She was raped somewhere near the tunnel and then murdered by a man that she called BM. 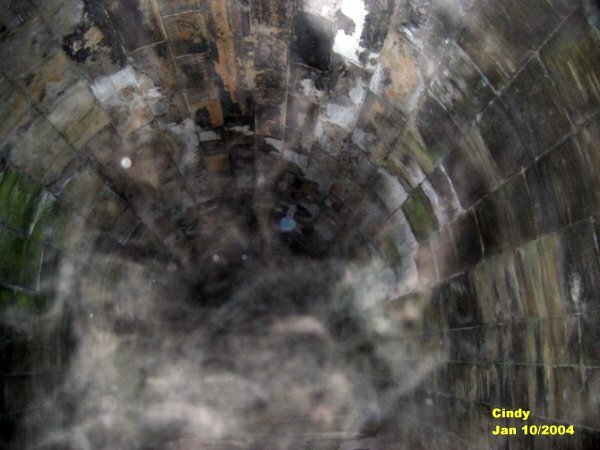 Cindy and Cathy originally made contact with Emily on October 25th at the tunnel and then two weeks later using the Ouija Board. We believe that Emily is buried in the Lakeview Cemetery near the BGT. After talking with her for some time over the weeks that followed we were finally able to cross her over on December 12/2003. Another spirit that we had communicated with was a little girl by the name of Paula. She was killed by the same man but 6 months later. BM Known as "Bad Man" has come to the board to talk with us, asking us to leave him alone. He also said that he felt intimidated whenever we come to the tunnel for an investigation. He has asked us to never return to the tunnel. BM had no intention of crossing over. He had said that he loves to intimidate those that enter the tunnel by making himself known. He loves pacing back and forth at the back of the tunnel letting those that enter hear his footsteps. 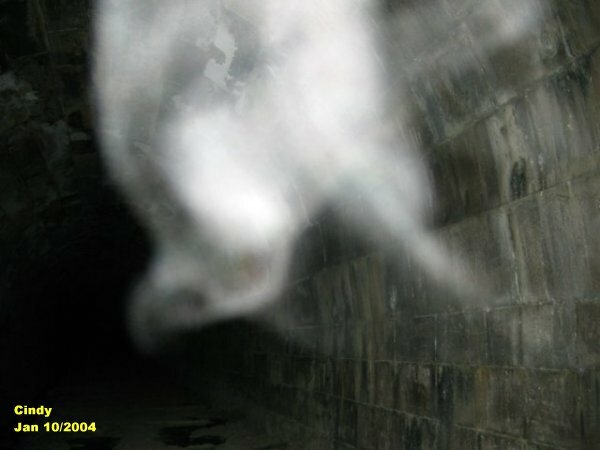 We have just contacted another spirit by the name of Wayne. He has told us that there are four dogs that roam the tunnel. One dog being a doberman that is named Molly, another that is a mutt named Casey, another is a german shepard named Max, and then a hound dog named Manny. The hound is owned by Paula and the shephard is owned by someone Wayne called Tucker. Wayne to date has told us that he was shot November 9th/1901 but when asked where, he would not say. Wayne tonight (Jan 14/2004) has let it be known that he is also known as BM. He has given us some names that we are in the process of trying to verify.